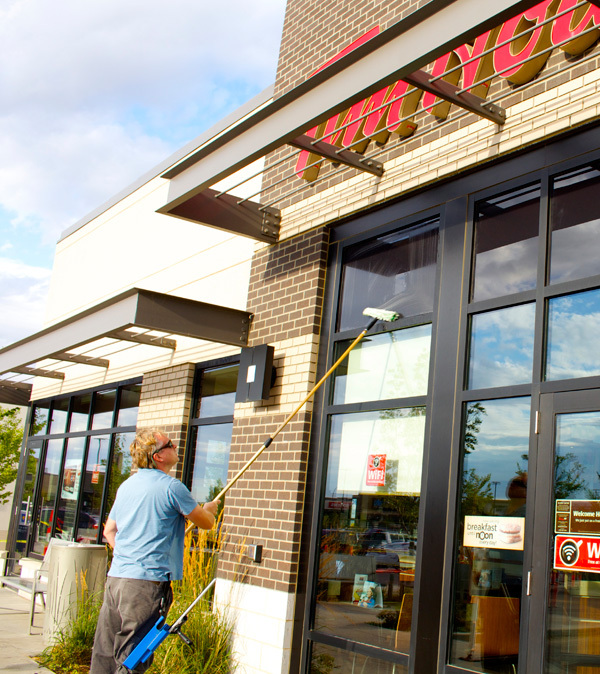 Park Window Washing - Commercial window cleaning experts in Sherwood Park and Edmonton, Alberta. Let the sun shine in on your business! First impressions can make all the difference in the world and can give you an edge up on your competition. Having clean windows tells your prospective clients that you takepride in the appearance of your business. Here at Park Window Washing we provide local business with the highest quality and most dependable service in Edmonton and surrounding area. We provide services from weekly to yearly and anything in between. Our workers are professionally trained, and take pride in the work they perform for your business. We specialize in low rise window cleaning. We are able to handle any buildings up to 5 stories. We welcome any regional & or district managers of chain stores to give us a try. We can develop very competitive pricing that will help your bottom line. Proudly serving Sherwood Park, Edmonton and Area with all your commercial window cleaning needs.